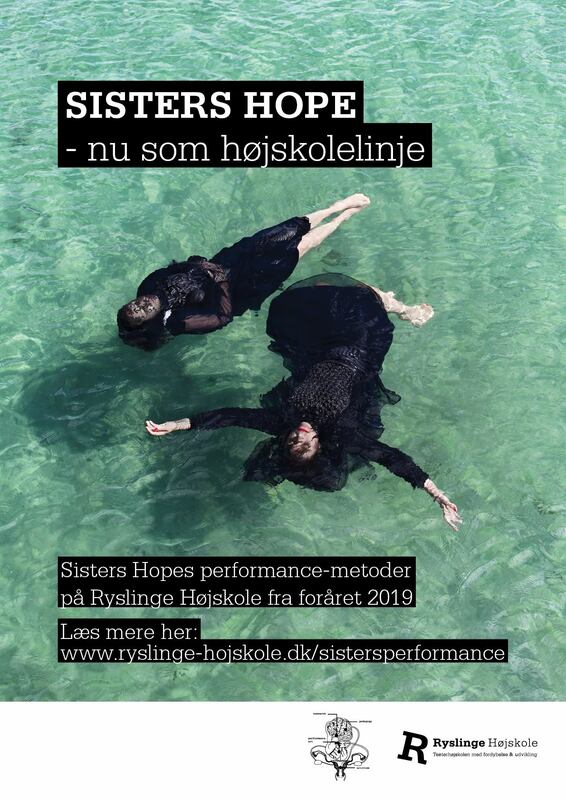 Sister Hope is extremely excited and proud to present: “Sisters Hope’s Performance Methods – Sensuous Learning” as a full time programme at Ryslinge Højskole, spring 2019! For the first time it is possible for everyone to receive training in our unique methodology, “The Sisters Performance Method – Sensuous Learning” which has so far mainly been available for those involved in Sisters Hope’s performances. We are looking forward to explore more sensuous modes of learning and being while we immerse into the beautiful surroundings of Ryslinge Højskole. For more details about the programme and how to enroll, go here.